Polyvore Set Pasting Instructions Written and Submitted by FioHelston. 1. 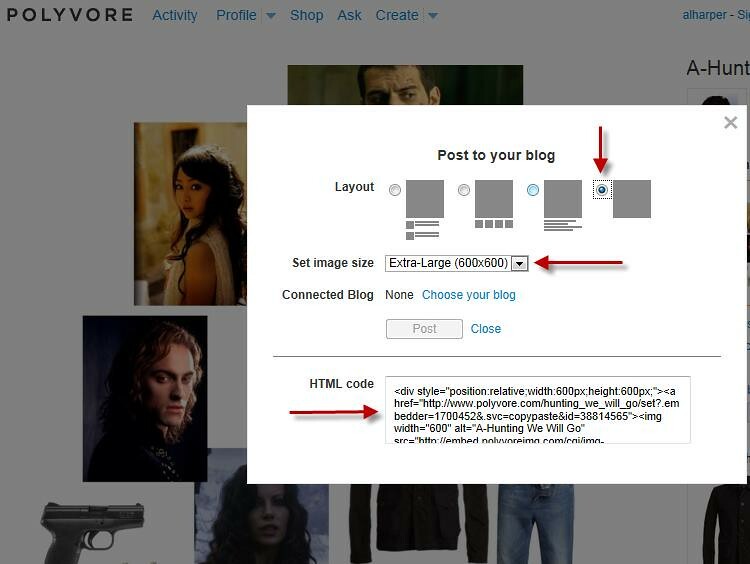 Open the set page in Polyvore. 2. Right Click the set. A pop-up window will appear. a. Click the radio button for the set with NO item details. b. Select your set image size (600x600). c. Select all of the HTML code that appears in the text box and COPY it. 3. Log in to the appropriate website (RDI, ROH or DM). 4. Open the page to write a post or reply in the forum thread you wish the set to appear in. 5. Enter a Subject line, if desired. 10. Select the options checkboxes, as appropriate.